Practical accessories in green colour will add a nature of your toilet. 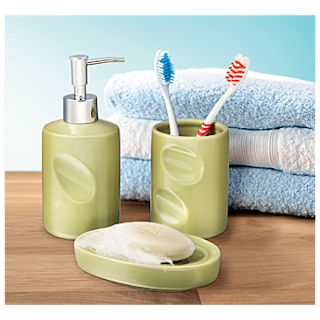 Set contains soap dish, lotion dispenser and mug. Material: ceramic, PP, ABS, PE, chrome plated, box: paper (recycled, chlorine free bleached).